Keith Meany, President of Skubot and Owner of Global Coast Survey. Keith Meany is owner of Global Coast Survey, a Charleston-based seafloor mapping company founded in 2012. He is also president of Skubot, a system that uses 3D scanners to identify plumbing parts. Skubot, which Meany began work on about three years ago, debuted two new products at the Consumer Electronics Show 2019, winning an IHS Markit Innovation Award. This series is brought to you with support from Charleston Southern University. Where did you grow up? What was life like? I grew up in Myrtle Beach. I was always drawn to the ocean and could never really leave it. My mother and father were amazingly engaged in my childhood. I basically had everything I needed and then some. I was extremely fortunate, and I understand that. My folks enabled me to chase my interests, specifically sports and surfing and baseball. I wasn't an extremely academic person when I was young; school was just kind of a means to get to recess and afterward. Myrtle Beach was an interesting place to grow up. It was a lot of fun as a young child because you're so close to the ocean and it's a tourist destination. How did you come to be in Charleston? When I was in high school, as my interest outside of school, I chose surfing over baseball. I had played baseball coming up. Surfing really struck my interest, and I decided pretty quickly that I never wanted to leave the ocean. Parallel to that, as a child, a couple of my really good friends lived down here (in Charleston). I used to spend a lot of time in the summers just running around downtown and had a blast doing it. So Charleston was always a really special place, and with in-state academic scholarships, it kind of limited my options of where to go to college. I didn't want to leave the ocean, so College of Charleston was really the only school that I applied for, and it was the only school that I really wanted to go to. I was fortunate enough to get in, and the rest is really history. I just came down and never left. What was your first job, or most memorable early job? What did you learn from it? I worked in an ice cream shop as my first job. I recall vividly how little money I was making relative to the time I was sacrificing. I think I was around 13 or 14 years old. Right around that time, my mother and father's maintenance repair parts company, called Palmetto Parts, was really starting to thrive. That definitely caught my eye, as they were self-employed. They never let me work for the company growing up. They wanted to just kind of throw me to the fire and experience the thrills of joining the workforce. My parents' company was really good at identifying and sourcing a variety of different repair parts, better than other companies. I was always really fortunate through my childhood to see the success that they built with that. That left a lasting impression with me, and I think it really shaped the direction that I was going to take. It was pretty clear that, "Hey, I'm not so fond of being the ice cream worker." So you had an entrepreneurial drive early on? Yeah. I think that the entrepreneurial spirit was definitely buried in me early on. Like I said, the benefits of self-employment were really evident to me, because I saw it. Whether it was chores or early jobs, my focus was always on getting things done as quickly and efficiently as possible, while still maintaining the quality of work that was required so I could do things like enjoy surfing, baseball or hanging out with friends. I think my school work paralleled that. I was never really the best-scoring student. It was always a balance of doing what was required in the most efficient, time-saving manner. School, for me, was about efficiency until I found seafloor mapping at the College of Charleston. Leslie Sautter, director of the BEAMS program, took me under her wing and really channeled my focus. I started to develop a passion for seafloor mapping, focusing my efforts on a unique software called CARIS. Part of my attentiveness was the prospect of traveling globally and surfing a variety of world-class waves, combined with the reality that the pay was pretty solid. So I graduated and traveled the world from 2008 to 2012 as a CARIS data processor, making deep-water maps of the ocean floor from data acquired via remotely operated vehicles and a sensor called a multibeam echosounder. The skillset was valuable to a variety of industries. My clients were typically in oil and gas, fiber optic cable, wind farm, archaeological and charting. The work was amazing, but the frequency wasn't enough. I began seeing a high volume of requests from personnel agencies for people competent in software other than CARIS, and I grew tired of not winning those bids. Eventually, I called a specific software company out of Denmark that seemed to always be on the requirement list, and I enticed that company to set up a training at the College of Charleston. Within three weeks, we held the course. It was the first institutional training course for the company in the U.S. at a time when their market share was skyrocketing. I think I was on a plane for a job overseas within a week of the training course, and I disclosed to the personnel agencies that I had a half-dozen other recent grads who participated in the training course who might be interested in project availabilities. My first company, Global Coast Survey, was born out of that demand. GCS has now been in business for six years and is busier than ever with the recent economic surge. In your own words, what does your latest company, Skubot, do? My newest venture, Skubot, revolves around an invention that took skills that I acquired from my subsea mapping company, Global Coast Survey, and applied to the problem that my mother and father solved with their maintenance repair parts business. The best way to describe it is this way: We have all walked into a big-box store with a specific screw, nut, bolt, hinge or faucet valve that is broken and needs replacing. Oftentimes, that part doesn't have any discernable name on it or ID. Big box doesn't have the resources to identify or source anything other than the high-frequency items. Skubot is a 3D scanner that scans the physical shape of these parts and puts digital models in a database registry in the cloud. We then put 3D scanners in the stores, and when you bring the part in, it is scanned locally where a quick digital model representation is recorded and sent to the cloud where it is matched against the database. When the product is identified, it returns options like whether it is on the shelf or whether it needs to be drop-shipped. As far as I know, we are the first globally to deploy a 3D product identification system in a wholesale/retail environment designed to identify hardware parts without barcodes or obvious tagging. My mother and father's company has thrived because of their ability to identify the obscure stuff that the big-box stores can't. My mother runs Palmetto Parts from a books, logistics, personnel and accounting perspective, and my father has the deep product knowledge. His ability to identify the obscure parts only by sight clearly had a tremendous value. Big-box retailers like Lowes and Home Depot in the Horry County area had maps to my folks' store, which they handed out to people when they brought in these hard-to-identify repair parts. It became very apparent that the deep product knowledge that my father had in the faucet repair parts category was extremely valuable, but very difficult to teach. I needed to clone my dad or find another way to make it obtainable. My experiences working with the subsea spatial data used to make maps of the ocean floor and understanding difference models led me to the idea to build a 3D scanner that identified objects based on the physical shapes. I was pretty confident it could be done several years before we started working on it. Around three years ago, I made some calls and began working with an industry leader in the object-detection space, playing with the idea and testing a variety of datasets. We succeeded and built a prototype that worked more accurately than my wildest dreams. Ferguson Enterprises happened to be very interested in my father's website at the time, so he already had their attention. We simply built out the system plugged it into my father's database and pitched it to them. Ferguson jumped onboard pretty quickly at the opportunity, and we had our first global customer within a few months of the buildout. To my surprise, our approach to the problem was unique enough that Hewlett-Packard noticed us and pretty quickly jumped into a partnership with the desire to take over production of our hardware. What do you see as the future of Skubot? Despite our new partnership with Hewlett-Packard, we are still working hard independently on software/hardware development. Our pilot system was large, heavy and slow, and it was clear from the very beginning that in order to effectively scale, we needed to improve the footprint and speed up the time it takes to match an item. We have managed to make dramatic improvements on all fronts. In addition to the developments on the system side, as a business we recently concluded our first round of raising funds from private equity. We debuted two new systems at the Consumer Electronics Show 2019. We are anticipating two more venture capital/private equity rounds after CES in the form of an auction. Skubot will deploy one of our scale systems in late 2019, hopefully, and add value to the stores by adding additional product lines into the identification database. With every positive match on an item by a retail store system, Skubot takes a percentage of the sale of the item in the form of a match fee. It is in our best interest to deploy and create enough depth in the matchable databases that the systems run all day long – lots more parts from a lot more industries. Parallel to that, we are working on research and development of a handheld version. The interesting thing is when we launched Skubot, our focus was really on stems and cartridges. I knew that if it was done right, it could be replicated. I didn't realize the implications of how striking and important it was to a company like HP. The reality of the situation is they've gotten involved and they don't care about plumbing parts. It's not about that. It's about all the other potential verticals that could pile onto it, and then setting up systems that run like the cell phones used to run where every time you make a call, the cell phone company gets a percentage of a dollar, or whatever it is. That potential for an annuity is, I think, really what got HP's focus. If this is executed properly, we can plug it in with retail point of sale and maybe someday do away with barcoding. It started as stems and cartridges, but it has wound itself into a whole lot more potential. What's the hardest or most important lesson you've learned in business? My biggest challenge over the years has been to go against my gut – which is efficiency – and slow down when it comes to personnel issues and avoid knee-jerk reactions. Efficiency almost always is counterproductive when you're handling personnel issues. The thing that I have to keep emphasizing is hear the problem, step away, gather thoughts, solve it. And for the real big issues, sleep on it, because it's good for the perspective. What lessons have you learned from good bosses? Bad bosses? Good bosses listen. Bad bosses sometimes have issues with this. Additionally, trust your personnel's talent. Be opportunistic. And when you encounter that moment where your whole business plan all of a sudden blows up in front of you, remember that it isn't all that uncommon to have to adapt and change paths. I have seen my business plans go up in flames many times. It's just part of the process. What advice would you give new graduates seeking to work in the tech industry? Tech is the new frontier, but do not pigeonhole yourself into one specific direction. Add as many skills as possible and always take the time to learn a new software, hardware, code, course, etc. Multifaceted skillsets will long outlast the here-today-gone-tomorrow technologies that litter the tech landscape globally. Are you a Mac or a PC? iPhone or Android? "The Innovators Dilemma" by Clayton M. Christensen. It was recommended by one of the guys at HP, and it was really good for what we were going through. It was almost like a guide, and it really helped put a lot of things in perspective. What is your usual Starbucks order? Iced coffee, splash of skim. What are your thoughts on how Charleston's technical landscape has grown? The foresight of Mayor Riley and Ernest Andrade to develop the Charleston Digital Corridor back in the early 2000s was well timed. Charleston is a very easy place to recruit talent to, regardless of the industry. It is clear that this model has worked very well for Charleston's tech scene, and the term "Silicon Harbor" certainly has some staying power. I am very impressed by the resources that the CDC provides to the emerging tech scene. It's amazing that the city, county and state embraced it. It's easy to recruit talent to this city, but if you don't have a mechanism to recruit, then how's it going to come? If you don't have all levels of the government in stride with the recruitment process, how do you do it? It's nice to see it instituted and running so effectively. That access to institutions and people and advice and tax recommendations and everything – to have one portal where as a business owner, you can go to it, it's great. Ultimately, it saves money. It's an effective mechanism to grow the industry, there's no doubt about it. 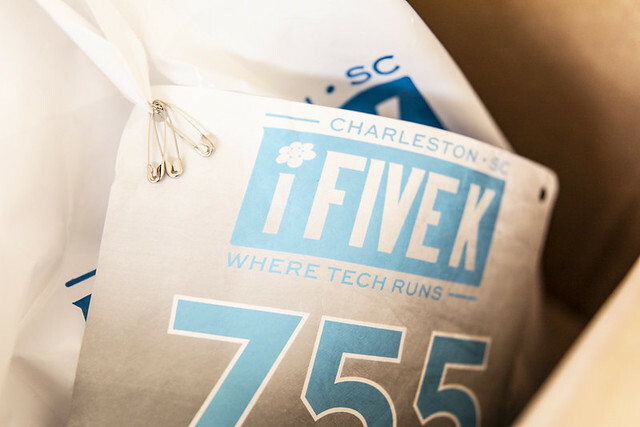 What do you see as some of the challenges recruiting tech talent to Charleston? I think more direct flights to the major tech hubs would help. Specifically, direct flights to LAX, San Francisco and San Diego. Direct flights to these tech markets is essential at some point, sooner than later. West Coast accessibility is a bit of a hindrance currently, and many of these West Coast tech companies would love an East Coast presence. These companies most certainly are going to be hesitant to set up sister hubs anywhere where they cannot hop a direct flight to.